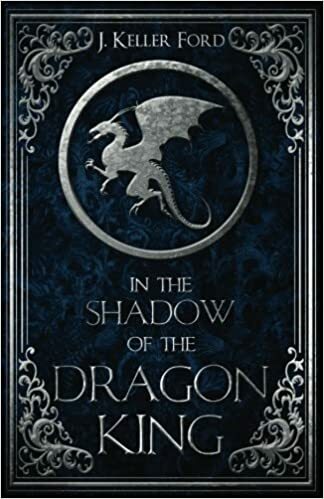 Review: In the Shadow of the Dragon King is a gripping fantasy novel by J. Keller Ford. It follows two teens, Eric and David, as their lives connect and collide in ways they never imagined. They are forced to get over their differences and come together to protect those they love, or risk see their lives reduced to ash. In addition to the thrilling plot, one of the most compelling parts of the story were the characters found within it. Ford is an expert in character development and the interactions between different characters were absolutely brilliant. The realism strikes the reader in a subtle way that grows as the story progresses. By the time the characters are in dire straits, I found myself caring for the boys in ways I never expected. I felt their joy and excitement, pain and grief. I haven’t connected with characters that deeply in a long time, and it was really refreshing to read something so well crafted. Ford also showed solid execution of comedic interactions throughout the book. Eric and his friend Sestian often had bantering conversations that held authentic humor and made me smile quite a few times. Although there were some points when a few of the comments seemed a out of place, nearly all of the humor hit the right beat. World-building, in my opinion, is one of the most complicated and difficult parts about writing fantasy, but this is another department where Ford excelled. The world she created is revealed slowly in smaller increments without the use of overwhelming description blocks. It’s apparent a lot of time and energy went into the creation of the world and the characters found within it. I found myself enjoying the exploration of the world along with its characters. I did, however, find a few flaws with the book. Some of the descriptions were skimmed over, and I sometimes had a hard time remembering what people and places looked like. I also found that, although Eric and David came from seemingly completely different time periods and locations, their dialect was very similar. I’m just nit-picking at this point, and these were very minor things in comparison to the rest of the story. Overall, I really enjoyed this book. It was funny and entertaining at points, but also had moments of authentic tragedy. The balance between light-heartedness and sadness in the tone was executed very well. The action sequences in particular were extremely enjoyable. In the Shadow of the Dragon King is an excellent example of well-balanced fantasy, complete with relatable characters and firey action sequences. I highly recommend for anyone interested in a refreshing story that keeps the reader on the edge of their seat at all times.